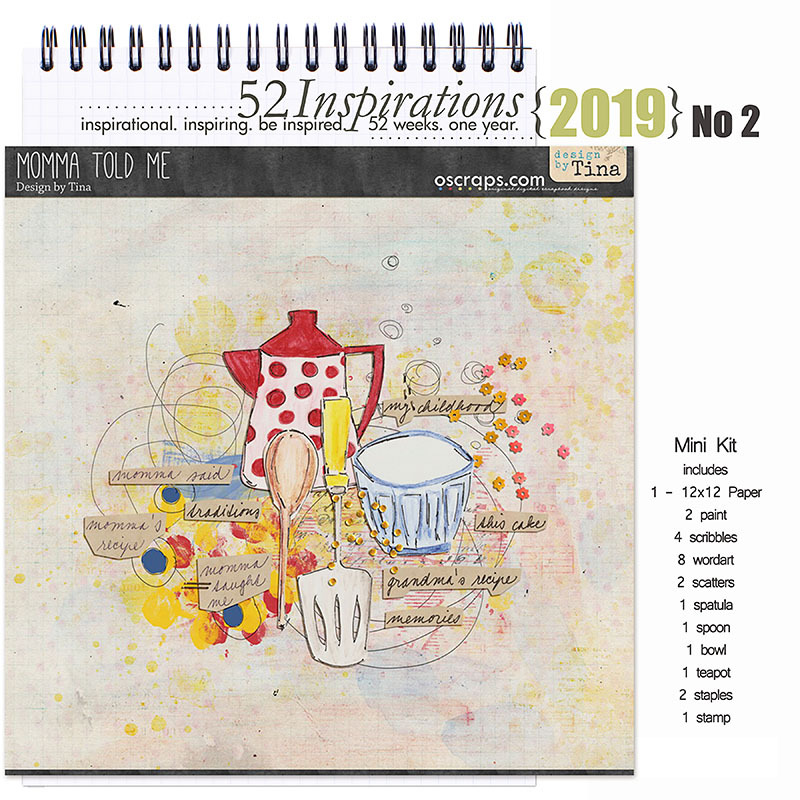 There´s a new mini kit in my store, a 52 Inspirations product "My Momma Told Me". It´s currently on sale, the 52 Inspirations 2019 subscriber just download. Oh, I just saw this. I'm having a play with it right now. Such a cute kit. I love this kit! It's just adorable. And I have pleasure to be subscriber, so now just have to come with some page with it. The doodles and scatters are awesome! Thank you!! !